Robert Welch, Appointed Royal Designer to Industry, was one of Britain’s leading industrial designers of the 20th Century. After training at the Royal Collect of Art he specialized in stainless steel production design, establishing a company in his own name in the early 1960’s. Robert Welch Designs has always aimed to combine innovation with sincere respect for the traditions of the past, so that quality, ease-of-use and fine design are in harmony. 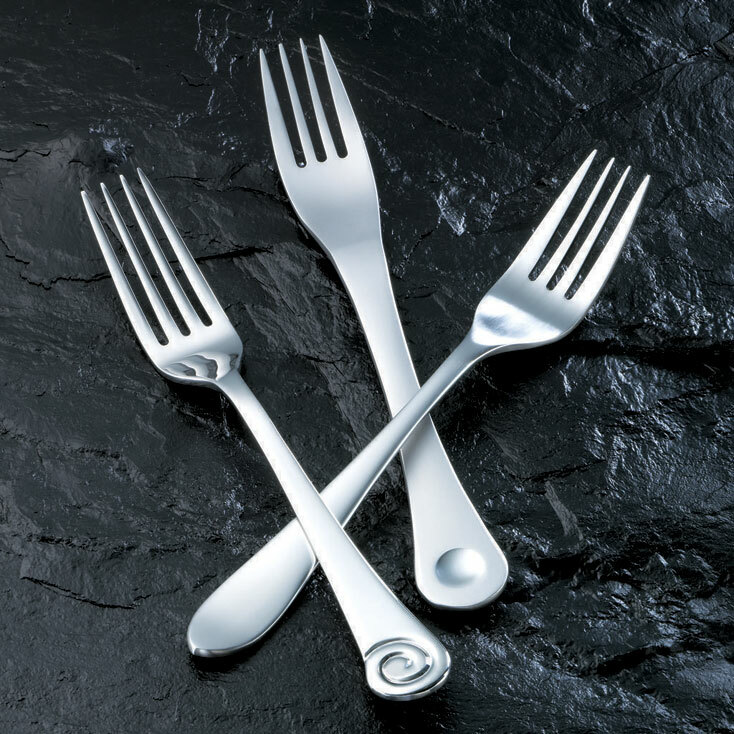 For over five decades, Robert Welch Designs has been designing cutlery, kitchenware, tableware and other unique products for the home. Although the studio designs for manufacture in many forms and materials, Robert Welch is best known for its unique range of stainless steel flatware. Inherent in the styling is the craft of excellent design - balance, weight, function and durability are all key factors. Since the introduction of the first Robert Welch flatware (simply titled R W No. 1) successive generations of collection have enjoyed additions to existing product lines and the introduction of exciting new styles. Today, under the direction of Rupert and Alice Welch (son and daughter of Robert Welch), a talented team of in-house designers pursues design excellence while maintaining integrity of function and value for money for its customers. Collectors please note: Some of the most notable Robert Welch designs are on display at the Victoria & Albert Museum, Copenhagen; the Stedlijk Museum, Amsterdam; and the Museum of Modern Art in New York.